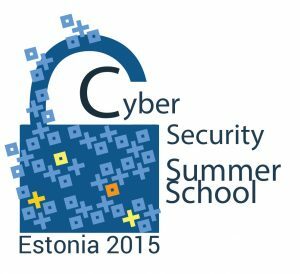 Four students from National Aerospace Universtiy «KhAI»: Oleg Illiashenko, Artem Tetskyi, Anastasiia Strielkna and Evgeniya Broshevan participated in Cyber Security Summer School 2015 in Estonia organized by Information Technology Foundation for Education in Estonia (HITSA) together with Tallinn University of Technology and the Ministry of Education and Research of Estonia on July 13-17 2015 in Laulasmaa, Estonia. How to live securely in a digital society? E-Estonia, a role model for the future? On implementation, challenges and limitations. Privacy and other concerns of a digital society. Internet measurements and routing: big data and network mathematics. Examples and hands-on activities from experts. Lots of fun and insights into controversial topics. Prime Minister of Estonia Taavi Rõivas welcomed students of Cyber Security Summer School in Tallinn. Among others the Estonian e-success story was presented by Jaan Priisalu (Senior Fellow at NATO Cooperative Cyber Defence Centre of Excellence) and architects of e-Estonia Andres Kütt, Heiko Vainsalu and Mark Erlich (Estonian Information System Authority), Kristjan Vassil from University of Tartu presented the e-voting in Estonia.